Dominion Energy Virginia said Tuesday that it plans to build at least eight new natural gas-fired plants during the next 15 years, cementing its shift away from coal, while depending on renewables for less than 10 percent of its energy capacity. 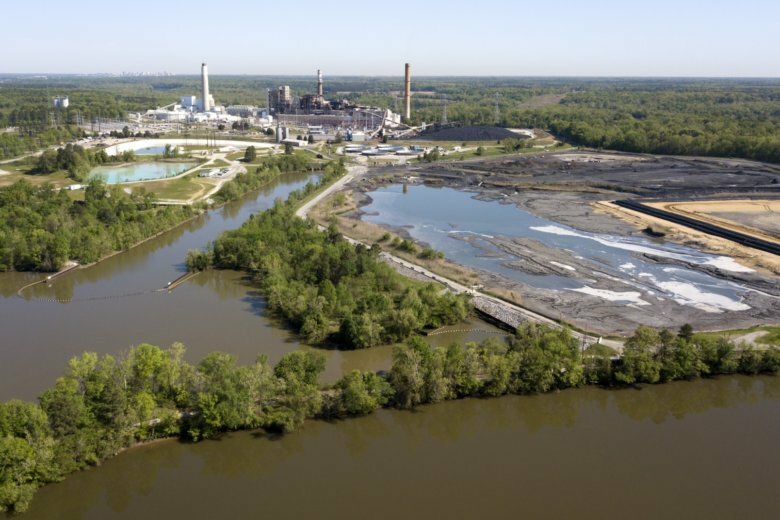 RICHMOND, Va. (AP) — Dominion Energy Virginia said Tuesday that it plans to build at least eight new natural gas-fired plants during the next 15 years, cementing its shift away from coal, while depending on renewables for less than 10 percent of its energy capacity. Virginia’s largest utility described how it will generate power to comply with regulations and meet customer needs between 2019 and 2033 in a regulatory filing called an integrated resource plan. Dominion plans to increase solar generation by nearly 50 percent over last year’s forecast, a change made possible in part because of the technology’s increasing affordability, company executives said in an Associated Press interview. A number of coal- and oil-fired power plants will likely be retired, and while Virginia’s four existing nuclear units will remain in use, plans for a fifth reactor remain shelved, for now. Altogether, this plan puts the utility on an “environmentally responsible, sustainable path” for the long term, said Paul Koonce, president and CEO of parent company Dominion Energy’s power generation group. “This is a real pivot, in my view, for the direction of our company and how we’re going to meet our customers’ needs,” he said. Critics say Dominion should move more quickly to help address climate change by phasing out fossil fuels, including natural gas. “Dominion’s proposal to lock Virginians into decades of further dependence on harmful fossil fuels looks better suited for 1998 than 2018,” Kate Addleson, director of the Sierra Club Virginia Chapter, said in a statement. Overall, Dominion’s modeling provided to AP shows renewables would move from 3 percent of its 2017 capacity mix — what the company is capable of producing — to as much as 9 percent under some scenarios by 2033. Natural gas would increase from 38 percent of the capacity mix in 2017 to as much as 59 percent, while coal would shrink from 21 percent to no more than 15 percent. In the past, coal powered much more of Dominion’s generation. For instance, in 2002, around 45-50 percent of the company’s energy mix — what is used by its customers — came from coal, according to spokesman Rayhan Daudani. Despite the Trump administration’s efforts to do away with the Obama-era Clean Power Plan, Dominion says it expects power stations’ emissions of carbon dioxide, a key greenhouse gas, are still virtually certain be regulated. The resource plan offers five scenarios that vary based on what kind of regulatory conditions are presumed to exist. Under all five variations, plans call for the increase in solar as well as the addition of at least eight natural gas-fired facilities with a combined capacity of between 3,500-5,000 megawatts, Koonce said. That’s about the same additional capacity as was called for in last year’s resource plan, he said. The natural gas plants are necessary partly because of expected load growth, partly because of the intermittent nature of solar power and partly because of the planned retirement of around 3,000 megawatts of generation powered by less efficient coal and oil plants, he said. Earlier this year, Dominion announced it was putting many of those less efficient plants into “cold reserve,” essentially a dormant status. Those stations will likely be retired under the plan, as would two oil-fired units, one each at the Possum Point and Yorktown power stations, Koonce said. While all variations of the plan envision the relicensing of the company’s four existing nuclear units at the Surry and North Anna stations, none calls for a third reactor at North Anna, which Dominion has been contemplating. The company has already spent hundreds of millions on preparation costs. The plan also involves continued work on two offshore wind turbines that are part of a pilot program the company says could eventually lead to the development of a much larger wind farm. The Virginia State Corporation Commission will review the plan to determine whether it is reasonable and in the public interest. Dominion Energy Virginia serves approximately 2.5 million electric customers, according to the filing. The vast majority are in Virginia, but some are in northeastern North Carolina and the Outer Banks. The plan was also filed with the North Carolina Utilities Commission.